If you're at the right place on the right time Thursday night, you'll be able to catch more than 120 shooting stars in an hour. A Geminid meteor shower is one of the most amazing sky displays of the year — and it’s peaking Thursday night. If you’re in the right place at the right time, you should be able to catch more than 120 shooting stars in an hour, according to NASA. 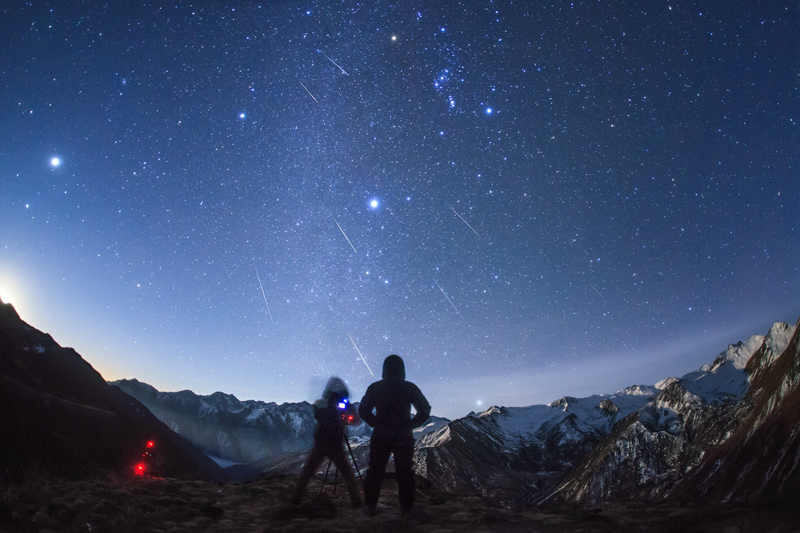 What is a Geminid meteor shower? The Geminid meteor showers happen annually every December when the Earth passes through the tail of debris from an asteroid named 3200 Phaeton, NASA explains on their website. When the small pieces from the asteroid fly into our planet’s atmosphere, they burn up and create streaks of light that are being seen as "shooting stars." According to NASA, the first Geminid meteor shower was spotted in 1862, but it took more than a century to discover that it was the asteroid Phaeton that caused it. 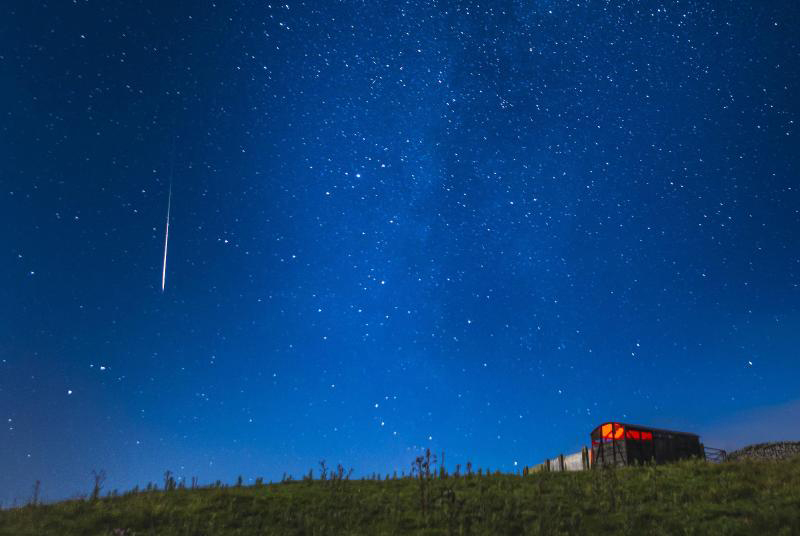 The meteor showers have fascinated people from across the globe and they have been growing stronger each year, according to experts. "The Geminids used to peak at just 30 meteors per hour, but Jupiter's gravity has brought the shower closer to our planet, increasing the rate of shooting stars," NASA astronomer Bill Cooke told USA Today. NASA choose to name the shower after the constellation Gemini, since the shooting stars seem to radiate from a spot near a bright star in the constellation called “Castor”. 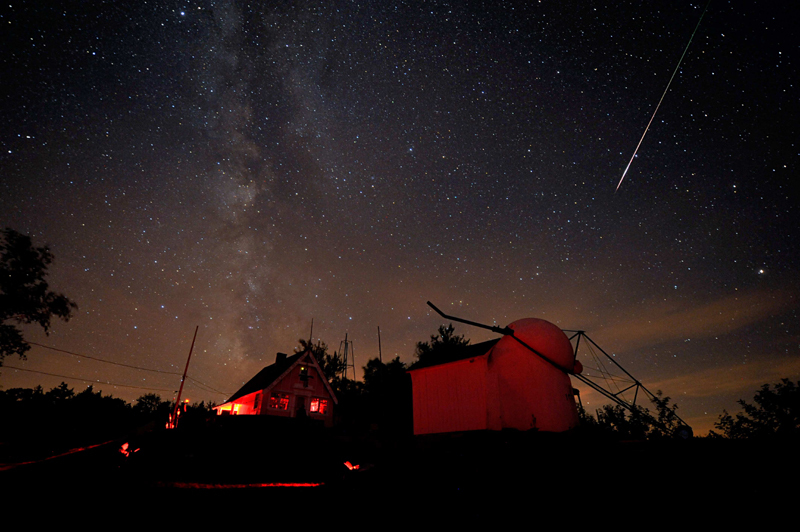 Where is the best place to watch the Geminid meteor shower? According to NASA, this will be the last and strongest meteor shower of the year. You don’t need any particular instruments to catch the shooting stars, but the Geminids are best viewed during the night when it’s really dark. In order to get the best view, you should escape the urban city lights and try to find a quiet location with a clear and unclouded view of the night sky. According to AccuWeather, people in the central US will have the best view of the meteor shower, while those in northwestern and eastern states will mostly see clouds. 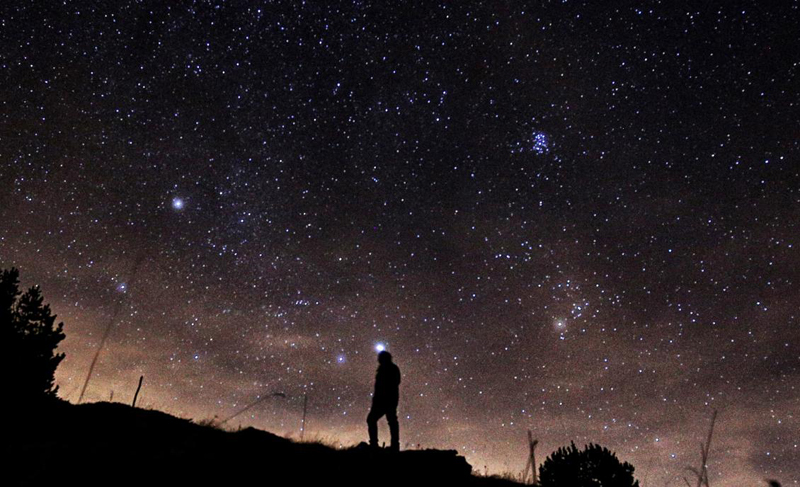 When can you see the Geminid meteor shower? The shooting stars will have its peak Thursday evening into Friday morning. The Geminids are expected to rise above the eastern horizon around 9 p.m. EST and will according to NASA have its official peak at 2 a.m. The meteors will be most dramatic in the early night, leaving streaks that will be lasting several seconds that will turn into quicker streaks after a while. Remember that it's cold outside so don’t forget to bundle up with layers of warm clothes and bring a chair so you can look up while sitting comfortably. If you miss this week’s Geminid meteor shower, you’ll have to wait until 2020, as the peak of next year’s Geminids falls during a full moon.